WELCOME HOME to this meticulously maintained custom built POOL home with 4 bedrooms, 2.5 baths and 2 CAR GARAGE! 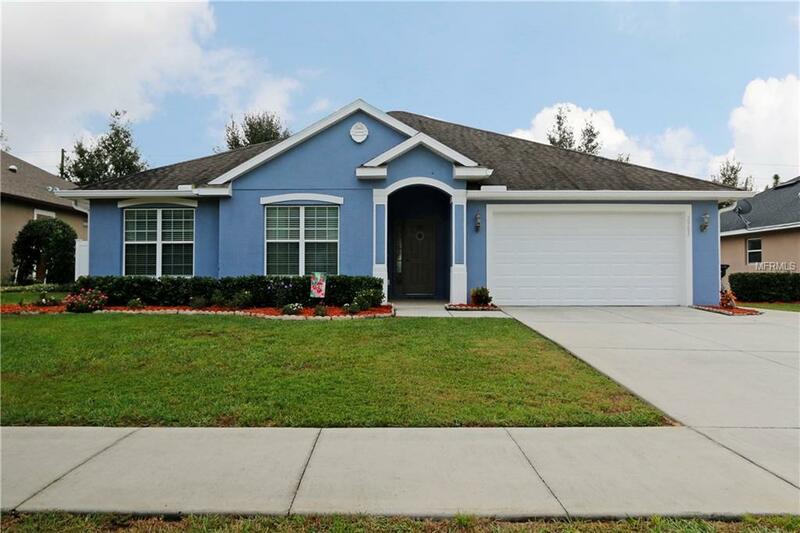 LOADED with upgrades including 9'4" vaulted ceilings, beautiful laminate floors throughout the living areas and bedrooms, custom built solid wood 42" cherry cabinets with granite countertops, dual-paned low E windows, and crisply painted inside and out. Oh and just wait, this is outdoor living at its BEST! 8 ft tall pocket sliding doors open to your covered lanai and INCREDIBLE pool area! Lush and vibrant, the landscaping and outdoor set up provide the most welcoming and private retreat! The SPLIT floor plan boasts a spacious foyer with decorative niches, outstanding open living space with a light and bright kitchen with tremendous counter and cabinet space, walk-in pantry, and breakfast bar looking out into your great room, three large bedrooms, and indoor laundry area. The HUGE master bedroom complete with oversized master closets, his and her vanities in the bath, garden tub and walk-in shower completing your master retreat. Located in the heart of Clermont, Southern Pines is a small 42 home community with one street in and one street out. Convenient to stores, turnpike, HWY 50 and 27. Come get your custom built home today! Listing provided courtesy of All Real Estate & Investments.